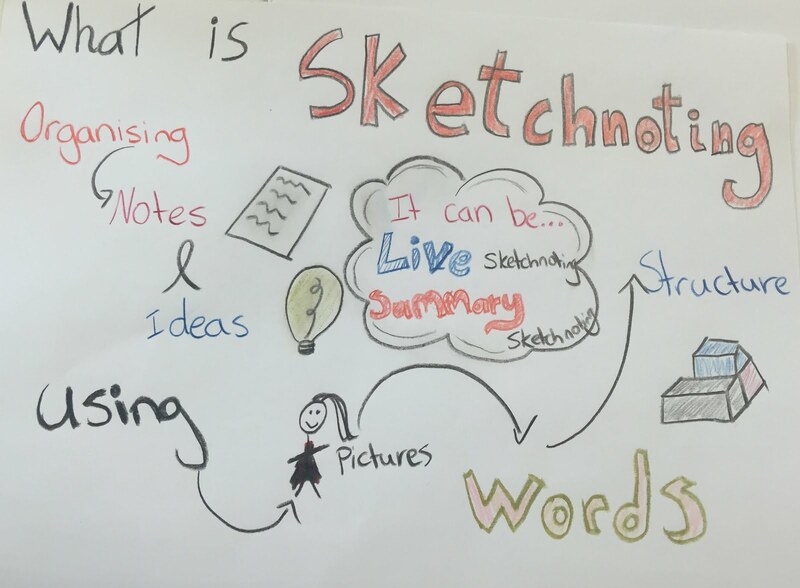 Sketchnoting is an exciting way of taking notes that involves using images, words and some from of structure to create graphic notes. I believe that Sketchnoting could be a exciting and creative way of taking notes, expressing ideas and sharing learning for learners of all ages. -Sketchnoting to retell a story. -Sketchnoting as a reading follow up.